This is the only place I can go to when I’m dead broke, order a large plate of rice with a fried chicken thigh, beansprouts and fish curry gravy, and walk away just RM3 poorer. But if you order the fish head, be prepared to pay more. Had a meeting is Bangsar so I popped by for lunch with a colleague. I was lucky I didn’t get curry stains on my off-white top. 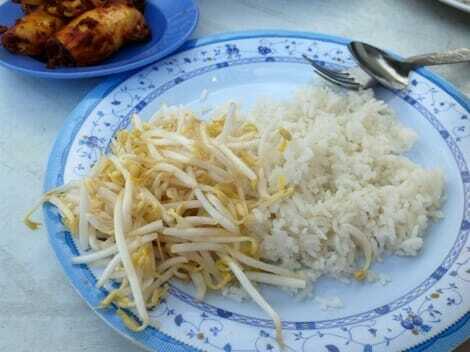 Since it was just us two, we shared a small fish head (RM25) and two fried squid (RM6 each) with white rice and beansprouts. The squid is awesome stuff. Juicy, chewy and well spiced from the curry powder marinade, it was insanely addictive. 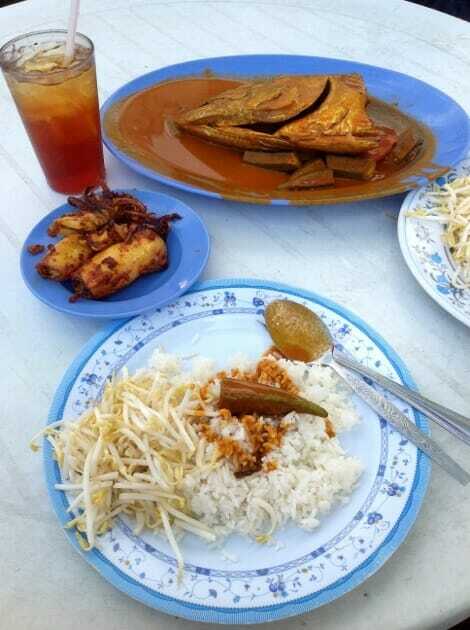 We didn’t get the jenahak fish because the head was too big and that dish alone was RM50. #nomoney They claimed we got ikan kerapu, but it didn’t look or taste like kerapu. This fish was grainier and the flesh wasn’t as flavourful. 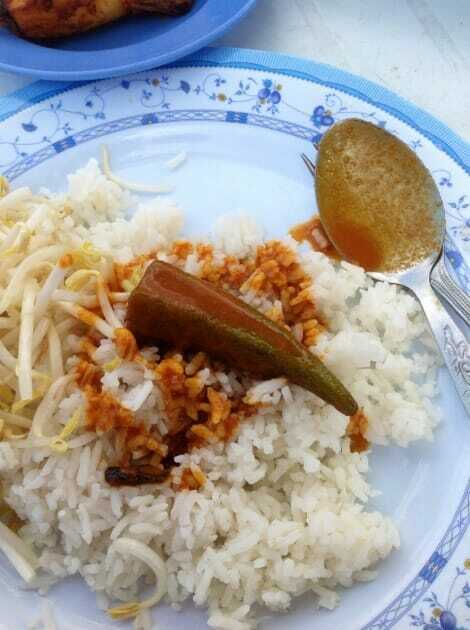 Oh well, I guess I need to round up more makan kaki to attack the jenahak next round. The experience of eating under the tree can be a challenge for some, especially if you’re not accustomed to the humid weather. There is no fan to keep you cool, so if you don’t want to sweat it out, I suggest you have your lunch to-go. My floral organza sleeve shirt is from Azorias. It’s currently my favourite top to wear for work and after. Verdict: I wouldn’t say this is the best fish head curry I’ve eaten, but the fried squid is good stuff! The fish head is big,so for the price its good value. 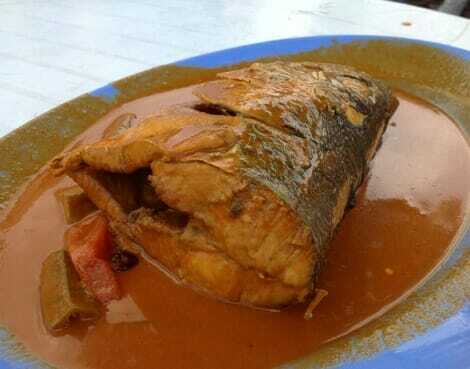 You should be an expert at this stage to identify the fish head la! Ooooooh fish head curry! 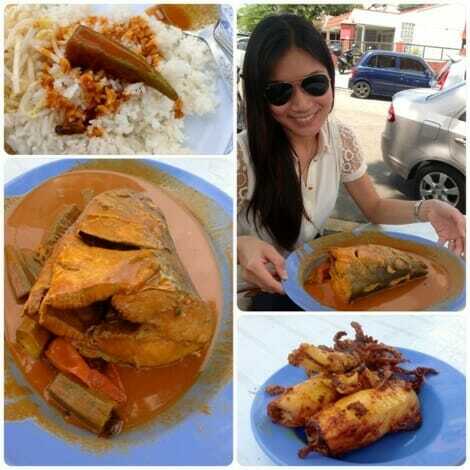 Gotta try this when I’m next in KL, it’s surprisingly difficult to find good fish head curry around town. OK, one day we all wear singlets and shorts go eat here under the tree, hehe! And sweat buckets! Looks so good! Gotta try it the next time I am in Lucky Gardens since it’s so near my dad’s fav sarawak laksa place. Its a tenggiri fish head, to be precise-tenggiri batang fish head. 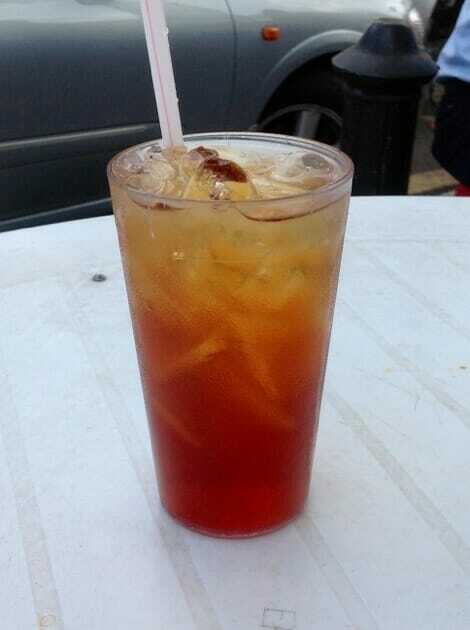 Commonly used in Malay n mamak stall. Overcooking makes the flesh dry n hard. 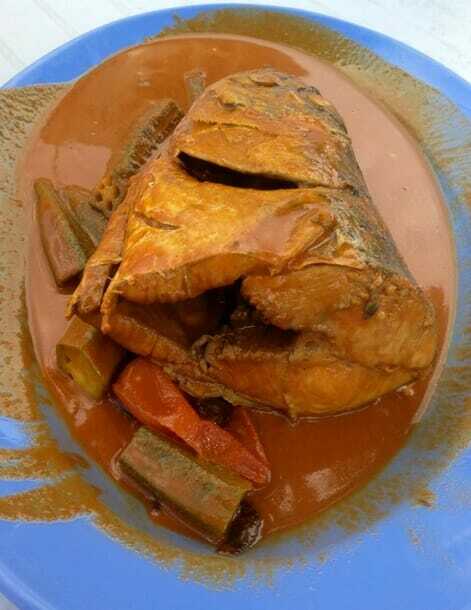 If u like fine flesh, sweet n juicy try kerisi bali fish head. In hokkien they called it karlak/karlap. Well known fish in the northern states. It is not kerapu fish head as shown in the picture. 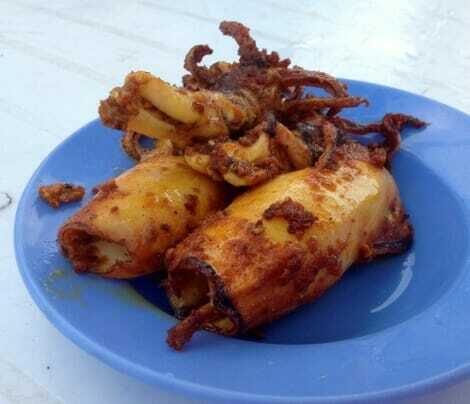 But yeah their sotong goreng is nice and you need to wait for it.